‘Tis the season for flu vaccine! Every year we get calls from people asking if there is a link between the flu vaccine and Alzheimer’s disease. This is an idea that came about more than a decade ago and has been debunked many times over. – A report in the Nov. 3, 2004, Journal of the American Medical Association found that annual flu shots for older adults were associated with a reduced risk of death from all causes. – A 2001 Canadian Medical Journal report suggests older adults who were vaccinated against diphtheria or tetanus, polio, and influenza seemed to have a lower risk of developing Alzheimer’s disease than those not receiving these vaccinations. The bottom line is that you should speak to your doctor about whether or not you should get a flu vaccine this year and don’t let fears of Alzheimer’s risk stop you! About the author: Elizabeth Edgerly, Ph.D., is the chief program officer for the Alzheimer’s Association, Northern California and Northern Nevada Chapter. To read more blog posts by Dr. Edgerly, click here. Writing a fictional Alzheimer’s narrative—creating a neat and orderly plot whose course I could control, from a disease by nature chaotic and nonlinear—was impossible. In the way that a son or daughter doesn’t know exactly what to expect during a visit with a parent who has Alzheimer’s, it’s inconceivable (some might even say ridiculous) for a screenwriter to map out the trajectory of a scene in an Alzheimer’s Unit, and expect it to play itself out in a manner remotely resembling what was written. Other than the loose structure provided by a schedule of daily activities—a parachute toss, the hair salon, an oldies sing-a-long—life in an Alzheimer’s Unit does not follow the logic of the real world. It is founded upon the incidental and accidental; a string of interactions and experiences that digress unpredictably, omnidirectionally, and constantly turn back on themselves. The Alzheimer’s Unit almost never adheres to the continuity of the linear narratives that we enjoy on a daily basis—or that screenplays require. From this spontaneous word-salad came two things that forever altered my film project; I realized Lee was not staff, but a resident. And, I decided, her presence in the Unit was reason enough to throw away that screenplay I’d just written. Like many in an Alzheimer’s Unit, for Lee every day is an odyssey: wandering to and fro with no destination in particular, on a quest for something that she can neither articulate nor comprehend. Having advanced Alzheimer’s was once described to me by a neuroscientist as akin to waking up in the middle of hinterland Russia, alone, not knowing a lick of the local language, not knowing how you got there, and being expected to act like it was home. Due to that constant sense of disorientation, in the span of minutes Lee could morph from pensive thinker, to gregarious helper; from bubbly mover-and-shaker, to morose and sometimes cruel instigator. When in good spirits, she consoled heartbroken women, kissed caregivers and shook a tail feather even after the music had stopped. And with no realistic option for leaving, Lee also gave in to frustration: she argued with her tablemate at lunch, kicked a bouncy ball at a frail man’s legs, and unapologetically told a sickly woman that she is going to die. My time with Lee, and her struggle, left me utterly confounded. Who should say Lee’s fragmented reality is any less valid than my own? Composer John Cage once wrote, “The first question I ask myself when something doesn’t seem to be beautiful is why do I think it’s not beautiful. And very shortly you discover that there is no reason.” A shift happened for me when I started to embrace the sublime chaos of Lee’s world. Spending time with her became not about remorsing on what will never be; her past (most of which she cannot remember)—nor was it about analyzing the tragedy of her plight. It became about letting Lee tell her own story, one unfolding in the context of a cruel, debilitating disease. And it became about learning that there was no reason not to let that story seem beautiful. 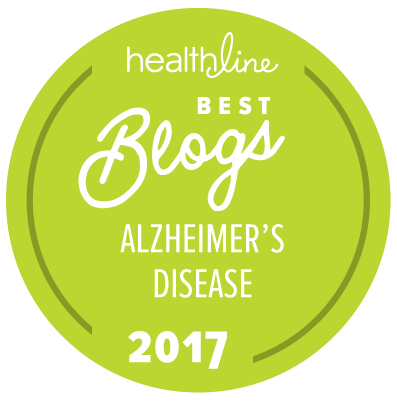 In ways that are often painful and intense to the rest of us, Lee and others with Alzheimer’s stumble along a road we’re all traveling, trying—often desperately—to communicate something, anything, grasping for unanswerable riddles. And until there’s a cure for Alzheimer’s, there’s one way, outside of medicine, to counter this disease, which we all have within our reach, whatever the road, whatever our relative agility at traversing it. Scott Kirschenbaum is a filmmaker based in San Francisco, Calif. His documentary “You’re Looking At Me Like I Live Here And I Don’t” will premiere nationally on PBS’ Independent Lens on Thursday, March 29, 2012.